In our last lesson, we studied the vision of the throne room where we were treated to a description of Heaven. In the throne room, Jesus—the lamb—accepts the scroll of destiny from the hand of God. The scroll has writing on both sides, a sign of completion, and it is sealed with seven seals, symbolic of perfection. The opening of the first four seals on the scroll reveals the release of four different apocalyptic events, symbolized by horsemen. These four horsemen are believed by many to be the acts of the antichrist upon our world. Some interpretations see the first rider as Jesus, some (including Billy Graham) say the first rider is the antichrist. There are other views too but remember that the antichrist presents himself as Christ before the truth is revealed. Jesus appears later (Revelation 19:11-16) riding a white horse. The opening of the first four seals unleashes great destruction upon the earth. This scroll, as we saw in the last lesson, was sealed in the book of Daniel. The opening of the scroll, and the destruction caused by it, is mentioned in Matthew 24:3-8 which tells us a bit about the identity of the horsemen—conquest, war, famine, death. Who do you identify as the first horseman? How is he described and what is significantly missing? Some say the first horseman is symbolic of the first coming of Jesus. He was a king who did not come to power through war and white is associated with righteousness. I tend to disagree with people who say this is Jesus—this is not the second coming. These first four seals are signs of the coming of the end, but they are not the end (Mark 13:7-8). Many say the first rider is the antichrist. This is certainly possible. He is wearing a crown, showing that he has attained power. He has a bow but is not show as having arrows, which either means we assume he is armed or that he gains power and wealth through other means—political persuasion, deception and false religion. In this regard, the first horse could also assume power as the false prophet. The first horseman, being first, ushers in the destruction from the others. How might someone win a war, or gain power, with words? Readers in John’s time would have recognized the horses from earlier scripture references (Ezekiel 14:21, Zechariah 1:8-17, Zechariah 6:1-8, among others). Keep in mind that this is a spiritual vision—not literal horses. They would also have recognized the symbolism in their current events—legends of Parthian archers, Greek mythology and more. The fourth horseman is described as Death followed by Hades. In the English Bible, we superimpose Hades with Hell (an English and German word), Sheol (a Hebrew word), Gehenna (a Hebrew word) and Tartarus (a Greek word found in 2 Peter 2:4). Hades, in Greek, was both a place and a deity—later renamed Pluto. The place, in Greek, was like Sheol in that it was a place for all dead. The deity, on the other hand, was feared because he was a god who ruled over the underworld. He was associated with wealth and also with revenge. The personification here is important to recognize. A place does not ride a horse. People living in this time would have understood that this was a vision to be feared. The horse itself is shown as pale green. Horses are not green. This symbolism represents disease. When Jesus opens the fifth seal, the souls of the martyrs cry out for justice. Beginning with Stephen, the first martyr of the church age, to the people being murdered for the beliefs in modern times; people of faith have been murdered for their beliefs. Jesus spoke of this in Matthew 24:9. What does Jesus tell the souls of the martyrs when they cry out for revenge? What does this mean for us today and for those in the tribulation? Read Joel 2:30-32. In this scripture, it tells us much of the same information revealed at the opening of the sixth seal. There will be blood moons, earthquakes, disaster. Who does Joel say will be among the survivors? Compare it to Matthew 24:29. For the great day of their wrath has come, and who is able to stand? Who is able to stand? The 144,000. That’s who. 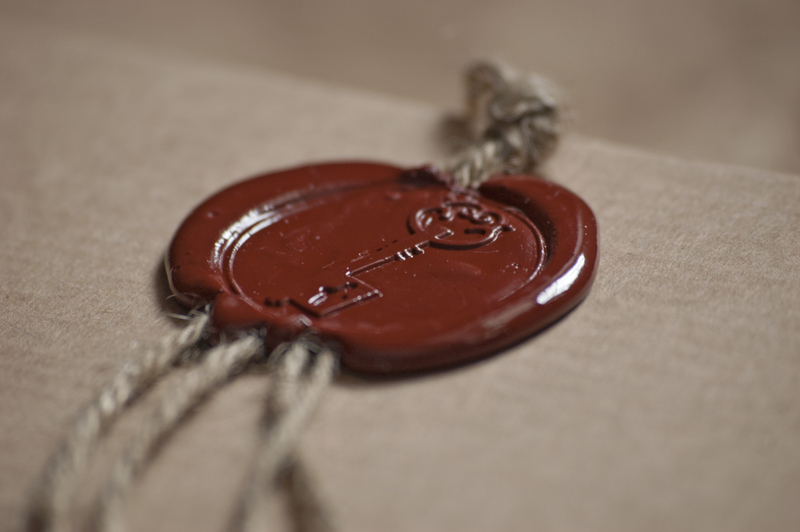 In scripture, sealing something meant ownership (2 Timothy 2:19) and protection (Ephesians 4:30). Many people interpret the 144,000 in different ways. Some say it represents, symbolically, the body of all believers (the church). Others say it represents people, literally, from the Jewish faith who come to belief in Christ and are sealed by God—keeping his promise to them. God’s covenant with Israel still applies. Some say that they are evangelists who are protected through the tribulation period to witness to the world. Who do you say they are? After the 144,000 from the tribes is Israel (note two are different from the Old Testament list), a multitude appears at the throne—a group too numerous to count. John asks who they are and it told they are the ones taken out of the ordeal, or the tribulation. Who are these people? When the seventh seal is opened, there is silence in Heaven for half an hour. Then, God accepts the prayers of the saints—these people who have just been raptured—and then the angel throws fire onto the earth. The signs shown to John are not given to cause fear among believers. Some of these things have gone on throughout the church age and will continue until the very end. The opening of the seals overlap the woes (trumpets) and judgements (bowls) to some extent. According to the Truthseekers study guide, the earthquakes and destruction of the sixth seal are the same as the seventh bowl and seventh trumpet. All of these things lead up to the second coming. The great multitude that arrived in Heaven out of the ordeal are believed to be the raptured. When does that happen in the timeline?